Rajeev Khandelwal, Kritika Kamra Turn Reporters For Newsroom! 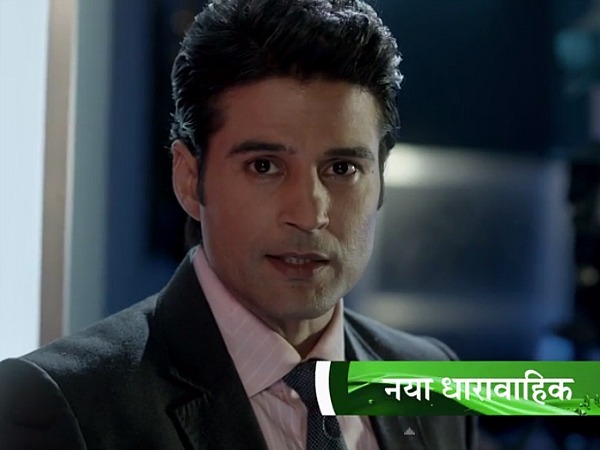 Rajeev Khandelwal, the talented actor is back with yet another interesting TV show, this time a fiction show, Newsroom. The Sony Entertainment Television show will have Rajeev and Kritika Kamra playing television reporters on the show. The promo of the show was out recently and has Rajeev sipping coffee and saying, " kuch khabrein hoti hai kuch banai jaati hain (some news happen and some are created)." The promo clearly says that the show will be bringing to the viewers a clear picture of how television news industry works. Rajeev Khandelwal, Kritika Kamra Turn Reporters For Newsroom! Rajeev and Kritika will portray the roles of journalists and their lives reporting news and the difficulties every journalists face in the real world. Though there are many movies that are made based on this concept this will be the first TV show. The show will deal with how the news are made and the pressures that make the journalists get desperate to create news for ratings and the constant stress from the waiting competitions. Rajeev, who is considered one of the best actors every discovered from TV, will soon be back doing what he is best at. Hoping the show, Newsroom, lives up to the expectations of his fans and others. I am so eager to see them together in the show. They both are my favorites but never had imagined that will see them together. They will make a awesome duo. Subject: Re: Rajeev Khandelwal, Kritika Kamra Turn Reporters For Newsroom!